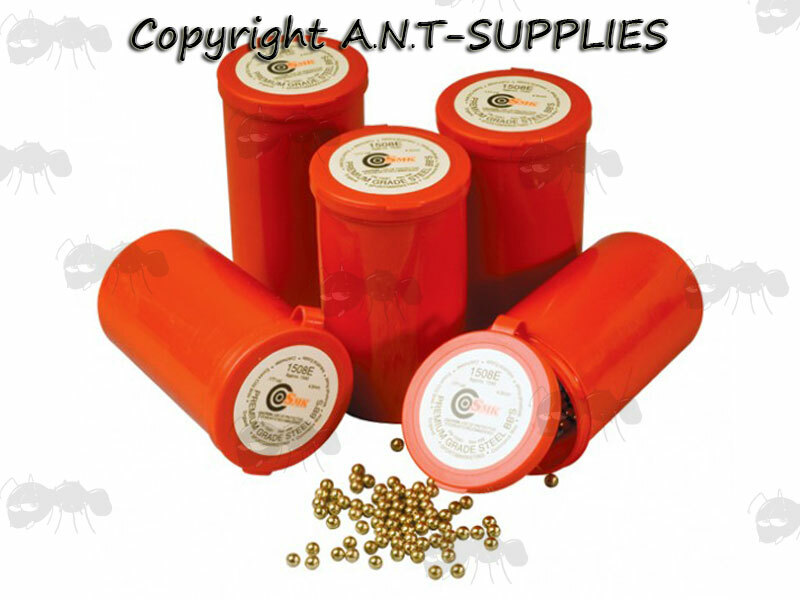 Pellets for air pistols and rifles. Next > SMK Precision BBs. 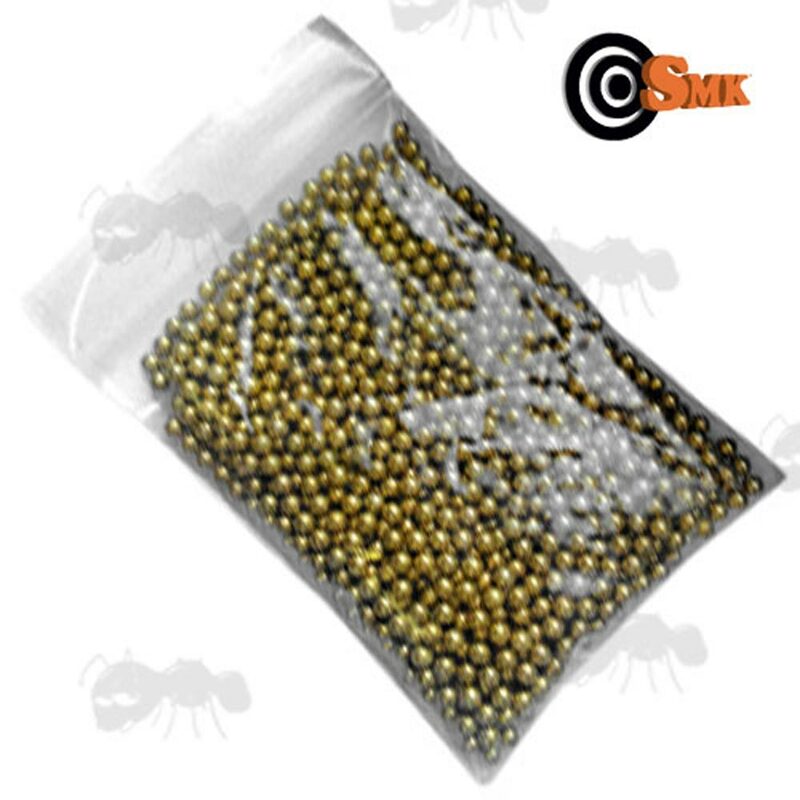 You will need to pass our age check for an order of airgun pellets to be completed. 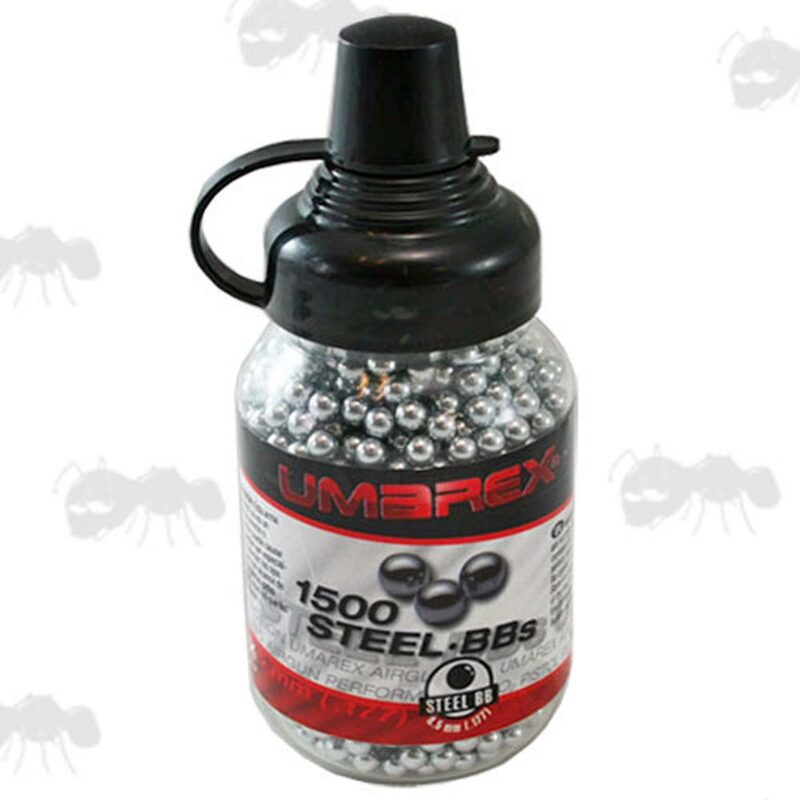 Bottle of 1500 ~ 4.5mm / .177 polished steel BBs. Each full bottle weighs approx 545 grams. 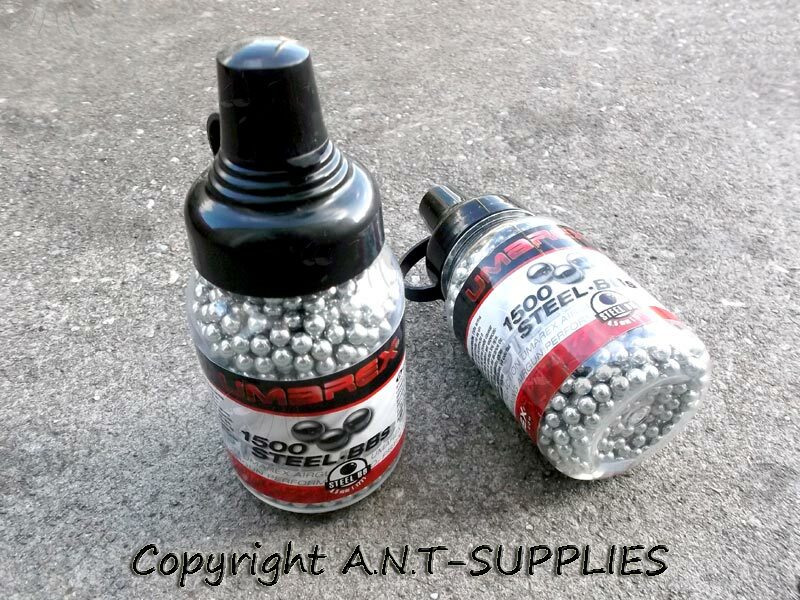 The refill bag option is a grip seal bag of 1500 BBs. 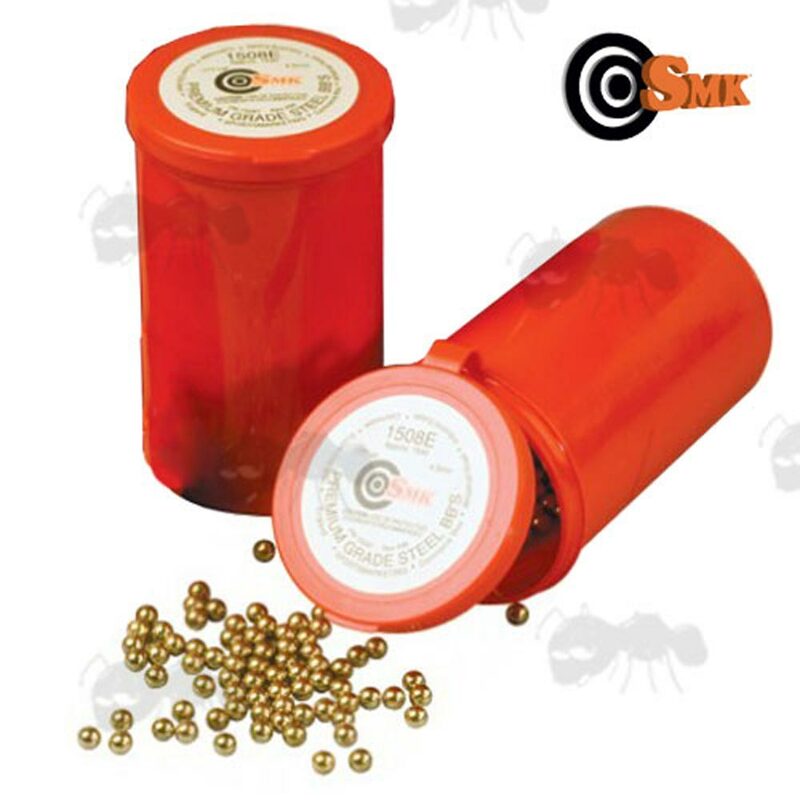 The BBs are not to be used in pistol or rifles designed to use lead pellets. Each bag weighs approx 540 grams. Each tub weighs approx 560 grams. The SMK .177 (4.5mm) BB is all precision made to our exacting standards to give the maximum accuracy and power performance to the SMK, Umarex and CyberGun air pistols. 4.5mm / .177 polished steel BBs. Highly polished precision BB shot. Superb gold styled plated finish. Available in sturdy 'snap shut' tubs. If the total gross weight is over 1 kilo, then the order will likely be sent by a courier other than Royal Mail. If you see this message, it means that your browser doesn't support iframes or they are disabled. You can access the information shown in this frame here: Airgun Accessories Product Scroller.